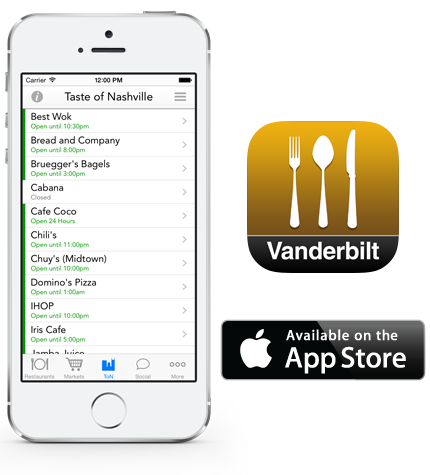 VU Meal Plans provide you with a Meal Money Account (MMA) that can be used to purchase food at all on-campus restaurants and Markets, as well as at participating off-campus restaurants through the Taste of Nashville program. Use your Commodore Card as you would a debit card at the participating restaurants. The money will be debited from your Meal Money Account (which includes rollover money unused from your weekly Meal Plan). You can check your balance or add to your Meal Money Account anytime by visiting the Commodore Card Office online or in 184 Sarratt. Your Commodore Card may not be used to purchase gift cards from TON partner restaurants. 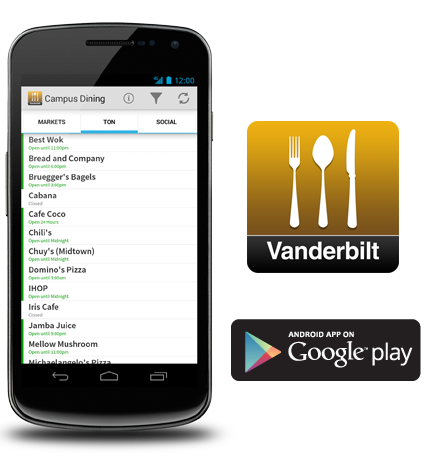 Students living off campus, graduate students, faculty and staff may use the Commodore Card at Taste of Nashville restaurants utilizing Commodore Cash. 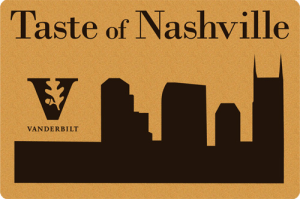 If you are from a local restaurant and would like information regarding the Taste of Nashville program, please fill out this form . For Taste of Nashville refunds go here.